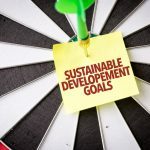 As institutional investors try to work out what the Sustainable Development Goals (SDGs) or Global Goals mean for them and how they fit with their work on the Principles for Responsible Investment (PRI) and Environmental, Social and Governance (ESG) issues, companies are starting to link the SDGs with their corporate strategy. Companies leading the way in doing this include AkzoNobel, British Telecommunications Plc (BT), Grupo Nutresa, SAB Miller Plc, Tridos Bank, TSKB and Woolworths Holdings Ltd. They’ve identified SDGs which they can contribute to while delivering on their business strategy and objectives. But it isn’t just about making a contribution. 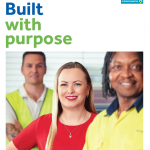 As BT noted in their 2016 ‘Delivering our Purpose’ report there are also “…potential impacts on our business, if the Global Goals are not achieved by 2030 in the markets where we operate”. This matters to long term investors. But how do they assess whether companies they invest in are addressing it? Last month the International Integrated Reporting Council (IIRC) and ICAS (the Institute of Chartered Accountants of Scotland) published a report I authored titled “The Sustainable Development Goals, integrated thinking and integrated reporting” which includes a framework for organisations to follow in order to integrate the SDGs into strategy and reporting. 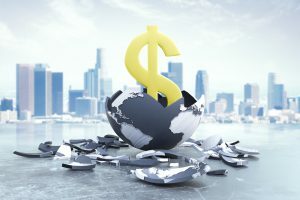 In the same way that the recommendations of the Task Force on Climate-related Financial Disclosures (TCFD) provide investors with a framework for assessing climate related risks and opportunities, this report provides investors with a means of assessing the extent to which the companies they invest in have considered risks and opportunities associated with the sustainable development issues that the SDGs address. 5. Prepare the integrated report. Each step is linked to relevant parts of the International <IR> Framework which is a mainstream reporting development for communicating about value creation and the value creation process over time. The <IR> Framework was developed with a key aim to help investors understand how organisations create value. Value is much more broadly defined than financial gains – a response to the fact that the balance sheet has encapsulated a decreasing proportion of a company’s worth. 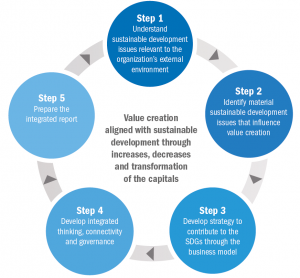 Further, the Framework can be used to aid understanding of the relationship between sustainable development and value creation. 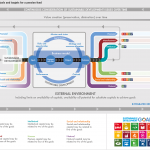 And it also aids the understanding of trade-offs across interdependent and potentially conflicting SDGs. 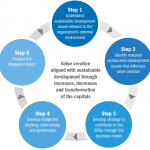 Of relevance to the SDGs, the <IR> Framework considers: benefits to stakeholders (recognising that this is important in creating value for shareholders); both preservation and diminution of value; the role of social and environmental externalities in increasing or decreasing the value created by organizations; the availability and stewardship of multiple capitals (including for example natural capital, social and relationship capital, intellectual capital and human capital); trade-offs in relation to use of the capitals; the implications of evolving societal expectations and resource shortages as planetary limits are approached; and, the need to articulate how the continued availability, quality and affordability of significant capitals contribute to the organisation’s ability to achieve its strategic objectives in the future and create value. Cbus, based in Australia, is one pension fund that has indicated (in its Annual Integrated Report 2017) that it is seeking ways to contribute to the SDGs through both active engagement and its investment strategy. The report includes a timeline infographic showing how the fund’s thinking about Responsible Investment and ESG issues has evolved to developing approaches to addressing climate change and the SDGs. So how exactly can pension funds and other long term investors help build a stable financial system through their contribution to the SDGs? One way is to develop portfolios with the aim of prioritising specific SDGs. Another is to widen the range of wider factors in their risk profiling and appraisal of investment opportunities and deepen their consideration. Further, leading investors are embedding wider value creation risk factors, including sustainable development, into their overall investment policy and governance processes. 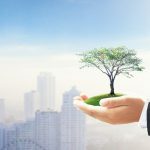 In their external annual reporting they are starting to integrate their ESG activities into the discussion of their investment processes indicating that it is a mainstream activity. 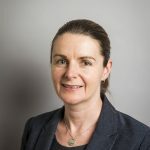 Carol Adams PhD CA FAICD is a Professor at Durham University Business School, UK and consults on corporate reporting, including to Cbus mentioned in this article. Adams, C A (2017) “The Sustainable Development Goals, integrated thinking and the integrated report”, IIRC and ICAS is available here.